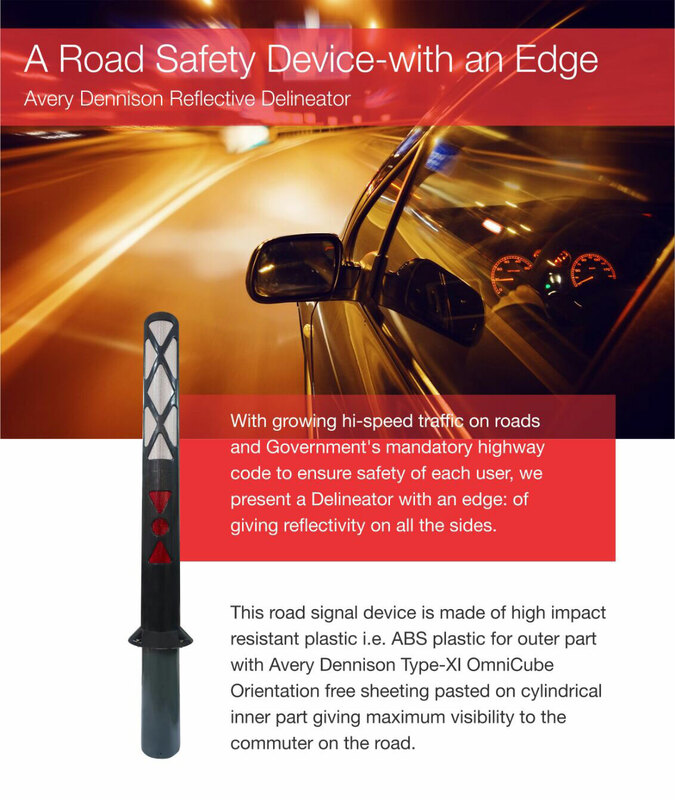 Designed for continuous enhanced road guidance along concrete barriers, centre round about & metal guards. These provide night time visibility at locations where normal sign boards cannot be installed. These LDS are fabricated using micro prismatic reflective sheeting & provide superior reflectivity at wider angles. LDS is intended for the linear reflectorization of concrete Barriers & Metal Guardrails. It provides retroreflection across a very wide range of entrance & observation angles. Highway clover Leaf Exit Curves concrete barriers metal guard rails tunnel walls gap in verge bridge guard rails approach to bridges centre round about.